Time element is useful if you need just a time value (as time of day or duration). This is derived from birthday element. While birthday uses database field type DATE instead DATETIME, time element uses TIME field type. The two together are useful when using Fabrik for manipulating data of such event management components as EventList where date and time fields are separate fields and empty fields should have NULL value. 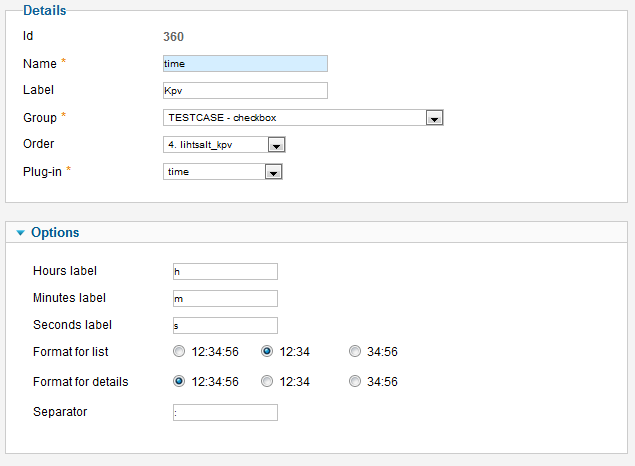 Time data is submitted with dropdowns, by default they are three - hours, minutes and seconds.